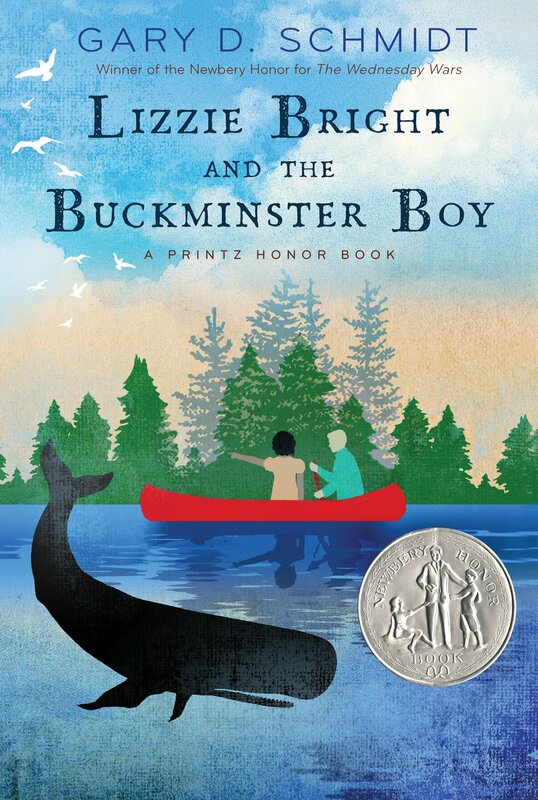 In 2016 residents of Hamilton and Wenham were invited to read Lizzie Bright and the Buckminster Boy, an award-winning tale of friendship set against the racially charged persecution of an island community in early 20th century Maine. Lizzie Bright draws on the true story of Malaga Island, where a community founded by former slaves was forcibly evicted in 1912 at the instigation of a neighboring mainland town. In this fictionalized account, thirteen-year-old Turner is the son of Reverend Buckminster, newly relocated with his family from Boston to become the Congregationalist minister in Phippsburg, Maine. Out of place and at odds with the other boys there, Turner develops an unexpected friendship with a girl named Lizzie Bright, who lives on nearby Malaga with her grandfather, but their friendship offends the people of Phippsburg, who want to drive out the islanders and remake Malaga as a lucrative tourist spot. It is also a challenge to Reverend Buckminster, as a difficult relationship with his son is tested by a town pressuring both of them to get in line. This story of uncooperative objects and irresistible forces received both the Newbury Honor and the Michael L. Printz Honor awards in 2005. Reserve your copy of Lizzie Bright and the Buckminster Boy today! Click here for a .pdf brochure of events! Lizzie Bright was optional summer reading for Miles River Middle School students entering the 6th and 7th grades, and was required reading for students entering 8th grade. It was also read and discussed by three reading groups at our library: the Adult Intermediate ESL Conversation Circle, the Literary Luncheon Group, and the Wednesday Night Book Group. On Thursday, October 6th, Dr. Robert Brooks discussed Raising Resilient Children and Adolescents in a Stress-filled World at the Hamilton-Wenham Regional High School Auditorium. Dr. Brooks is the author of 16 books and is a leading speaker on themes of resilience, motivation, school climate, positive work environment, and family relationships. Kate McBrien, Chief Curator of the Maine Historical Society, visited the library on Thursday, October 20, where she talked about The Forgotten Malaga Community and the history of Maine’s Malaga Island, 42 acres of rocky and rugged coast that the Phippsburg mainlanders eyed for tourism development in the early 20th century. Malaga was settled from 1860-1912, when the hardscrabble, interracial community of about 40 individuals was evicted, despite generations having occupied the island. The residents dismantled and removed their own homes, leaving the school and cemetery to be relocated by the State. Ms. McBrien gave voice to the forgotten Malaga community with photographs, stories, and island artifacts. Dr. Schmidt is a prolific children’s and young adult author of 13 books and two scholarly research publications. He has been awarded the Newbury Honor twice, the Printz Honor, and was a 2011 National Book Award finalist for The Wednesday Wars, titled Okay For Now. To find out more about Gary D. Schmidt, visit his web site. Malaga Island is a real island located in Casco Bay, just off the coast of Phippsburg, Maine. It was home to a small interracial community in the latter half of the 19th century and at the start of the 20th century. Some were probably descendants of Benjamin Darling, a former slave who purchased nearby Horse Island in 1794. Visit Malaga Island: A Story Best Left Untold for a radio and photo documentary. This was a partnership program with gracious assistance provided by the Gordon College community, the Friends of the Hamilton-Wenham Public Library, and the Hamilton-Wenham Public Schools’ Friends groups. Our co-host for this Community Read was Gordon College. 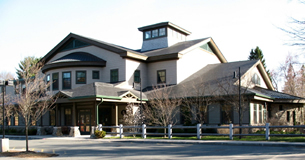 Gordon has long partnered with with Hamilton-Wenham Public Library in this event, hosting the author and other events related to the book. To find out more about Gordon College’s role, visit Gordon’s own Jenks Library page for the Community Read.